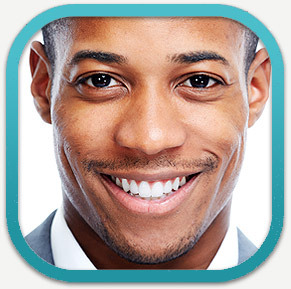 Tooth Bleaching and Teeth Whitening for a Whiter & Brighter Smile! Your smile is one of the first things that people notice about you. A beautiful white and bright smile can help to make a good first impression and help you to feel good about yourself. Most of us start out with sparkling white teeth, thanks to their porcelain-like enamel surface. Composed of microscopic crystalline rods, tooth enamel is designed to protect the teeth from the effects of chewing, gnashing, trauma and acid attacks caused by sugar. But over the years enamel is worn down, becoming more transparent and permitting the yellow color of dentin – the tooth’s core material – to show through. Your individual lifestyle along with the aging process can stain and discolor your teeth. Drinking coffee, tea, red wine, soda, or smoking are just a few things that will contribute to tooth discoloration. 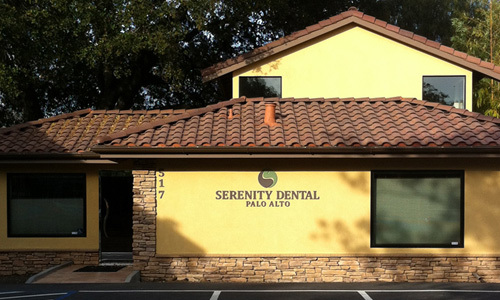 Here at Serenity Dental Palo Alto, we use a number of teeth whitening techniques to give you the smile you desire. Zoom in-office whitening is by far the most popular, dramatic, and rapid way to whiten your teeth and is a procedure Dr. Heidari performs on a regular basis. The Zoom teeth whitening process begins with a preparation of covering your lips and gums so only your teeth are exposed. A special gel is applied and then the Zoom light is used to gently break up the discoloration. This process is done in three 15 minute intervals and you’re done. For more information about teeth whitening in Palo Alto, contact us at 650.327.7525 or send an email to APPT@PaloAltoDentistry.com. If you are in or around San Jose, please visit our San Jose Teeth Whitening page or call our office at 408.999.0444. We’re happy to answer any of your questions. We also offer teeth whitening in Aptos, Santa Cruz, Capitola and Soquel. Please visit our Aptos Teeth Whitening page or call our office there at 831.688.6531 for more information.